So yeah I have hanging up on my FLP on the Left side is the Arcade pass which is also a Weekend pass it is a pass that you get when volunteering a pinball machine or upright game to the RetroCade. I got 4 of them since I volunteered 4 pinball machines this year. And on the cab and leaning up against the backbox is my sign that hung above my booth. 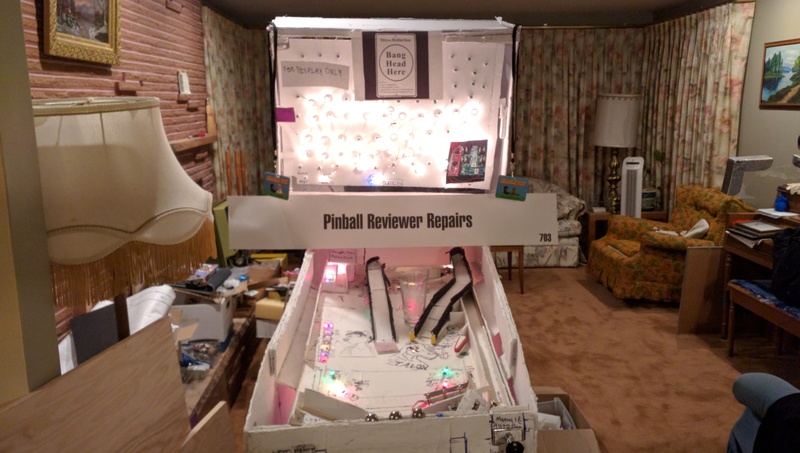 It is of course Pinball Reviewer Repairs or Booth number 703.